Bob Evans Farms of Xenia, Ohio is recalling about 46,734 pounds of Bob Evans pork sausage link products that may be contaminated with foreign materials. Clear hard plastic pieces were found in the product by consumers, who complaints to the company. No confirmed reports of injury or illness have been received to date. The raw pork sausage links were made on August 1, 2018. They include 12-ounce overwrap trays labeled “Bob Evans Maple Pork Sausage Links” with a use by date of October 16 or October 19, 2018 and lot code 8213. Also recalled is 12 ounce overwrap trays labeled “Bob Evans Brown Sugar & Honey” with a use by date of October 16, 2018 and lot code 8213. Also recalled is “Fresh From Meijer Maple Flavored Sausage Links” with a use by date of September 6, 2018 and lot code 8213. Twelve-ounce overwrap trays labeled “Giant Eagle Maple Pork Breakfast Sausage Links Caramel Color Added” are also recalled. They have a use by date of September 10, 2018 and lot cod3 8213. 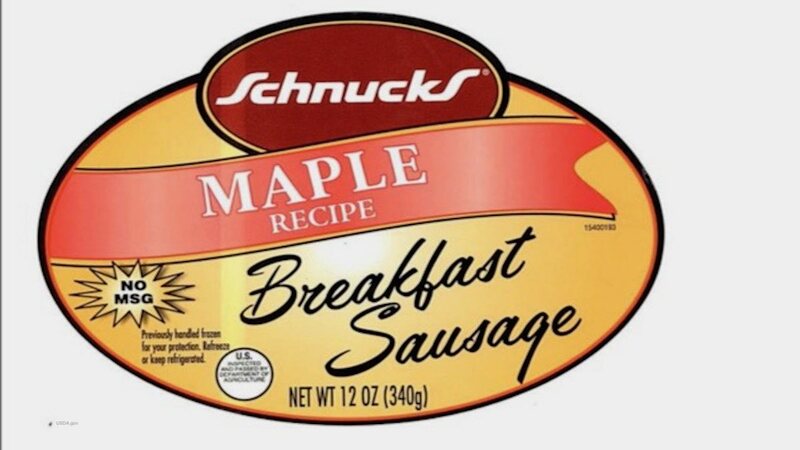 Finally, 12 ounce overwrap trays of “Schnucks Maple Recipe Breakfast Sausage” are recalled, with a lot code 8213. The products have the establishment number “EST. 6685.” They were shipped to retail locations in Indiana, Illinois, Maryland, Michigan, Missouri, New Jersey, New York, North Carolina, Ohio, Pennsylvania, Virginia, and Wisconsin. You can see labels of the recalled products at the USDA web site. If you bought any of these products, do not eat them. Discard them in a sealed container in a garbage can, or take them back to the store where you purchased them for a refund. FSIS is concerned that some of these products may be in consumers’ freezers. Check your freezer to see if you have any of these sausage items and discard them if you do.